Millet categorizes the Touring Shield Pant as an "action shell" for a reason. Built with Polartec® Powershield Light and Stretch three layer fabric, the pants are cut ergonomically and have articulated knees to move with your body. And since they are specifically designed for ski mountaineering, the Touring Shield Pant focuses on breathability so you don't become waterlogged on long approaches. At the same time, a DWR coating on the tough Powershield exterior keeps you protected should the snow start blowing. An excellent pant for everyday touring. Polartec® Powershield Light and Stretch fabric is breathable yet shields you from the elements. Dyntex® reinforced scuff cuffs add protection from skis, crampons, and Whippets. Reinforced articulated knees are designed to take some abuse while ascending couloirs or praying. Cuffs have side zips so you can get them over your boot and an elastic gaiter to keep the snow out when booting. Composit™ construction joins the panels together with a focus on fluid motion. 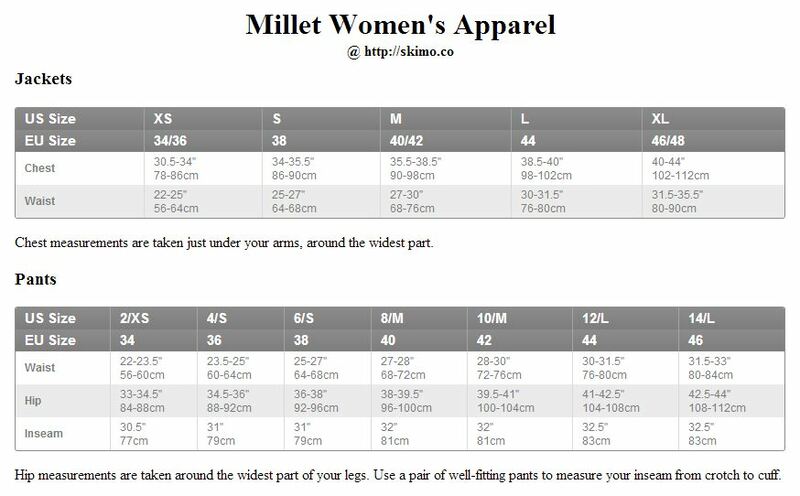 Like most Millet clothing, comes with a cool hanger so its closet spot is always reserved. Option to match with the Touring Shield Jacket.